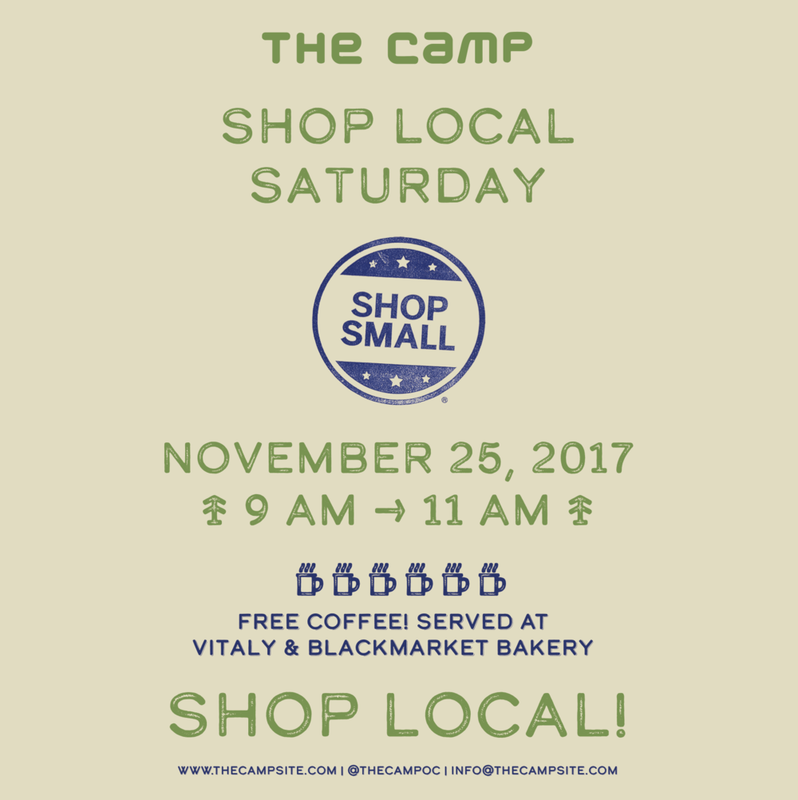 You’re invited to celebrate Shop Local Saturday at The CAMP! Join us on Saturday, November 25th from 9AM to 10PM to Shop Small – a movement to celebrate and support small businesses in our community. Come early and enjoy free coffee from Vitaly & Blackmarket Bakery at The CAMP from 9AM – 11AM.